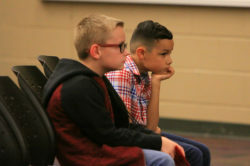 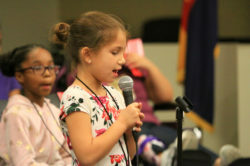 Reese was locked in a head-to-head battle with Tyron Davis of Santa Rosa Elementary through six words at the end of the spelling bee after 16 of the 18 participants were knocked out. 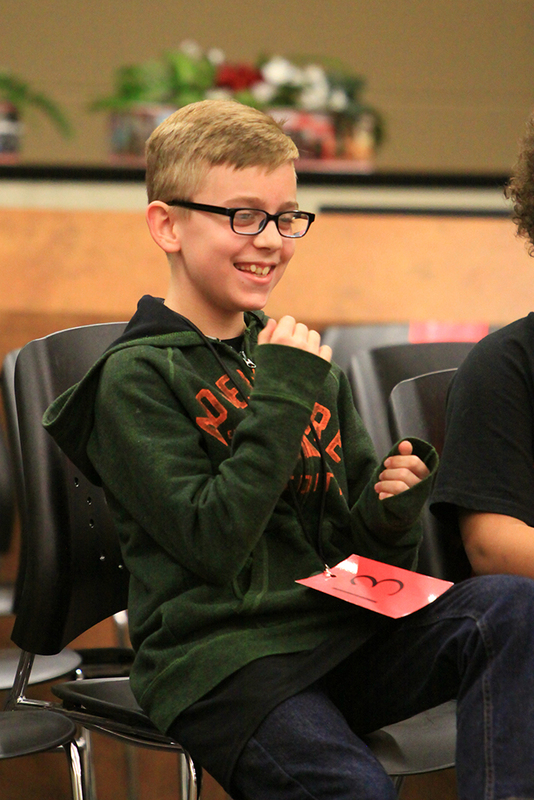 As the two went into the final rounds against each other, Reese was getting a little nervous. 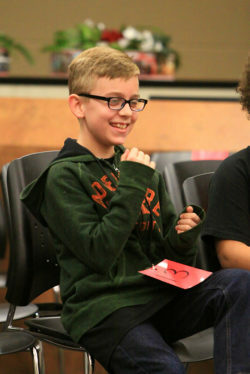 At one point he was nervously smiling and crossing his fingers for luck. 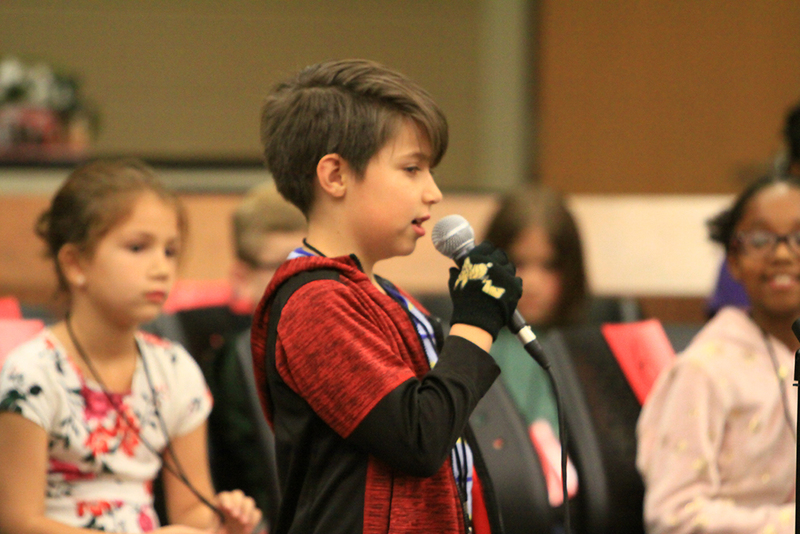 “I just wanted to spell the word,” he said. 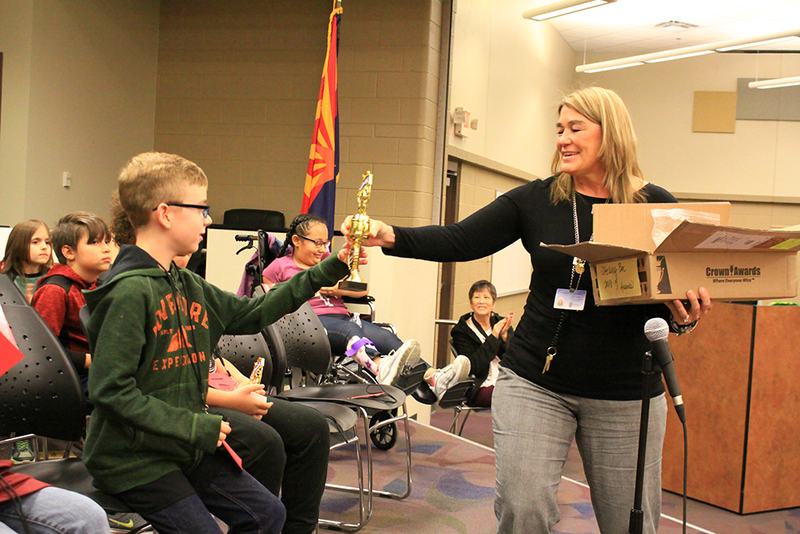 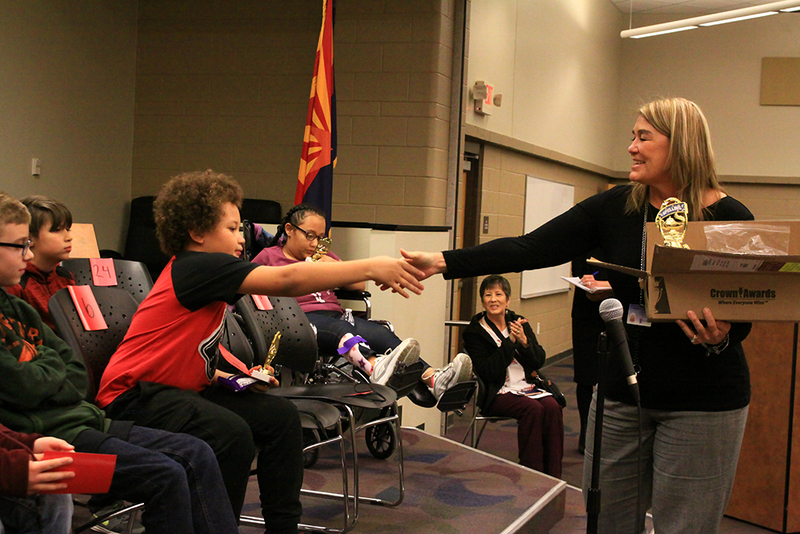 At Desert Wind, he was the second-place speller and is now the district competition. 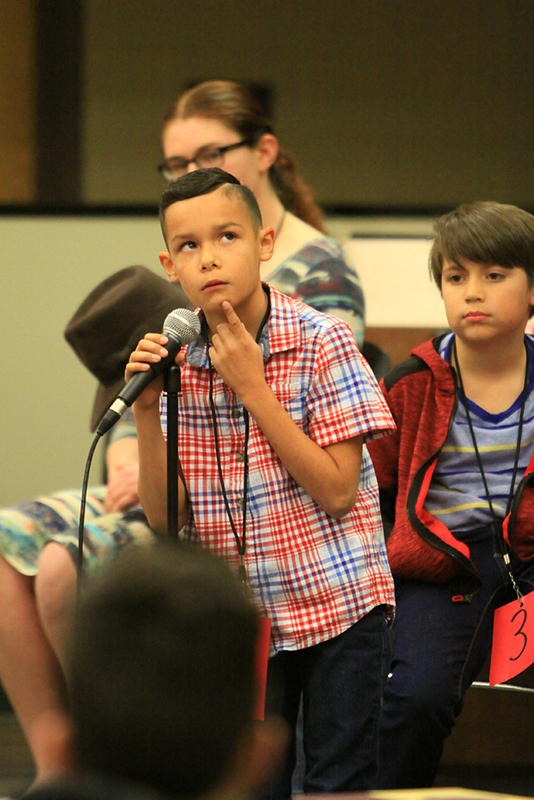 He said he thought it was kind of funny to win on the word adios. Second place was captured by Davis while Bella Hennings was third place. 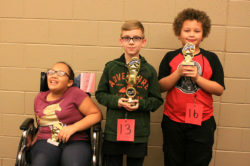 All three may now participate in the county spelling bee. 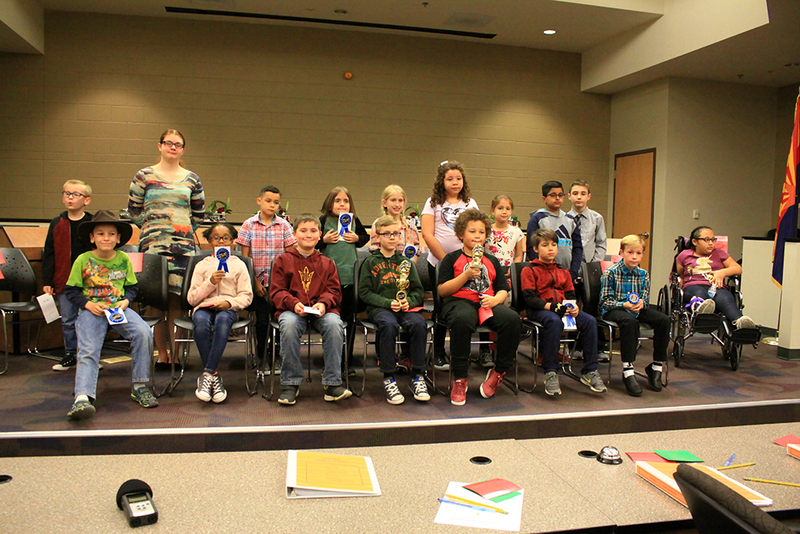 Students from the six elementary schools and the two junior high schools participate in the district spelling bee. 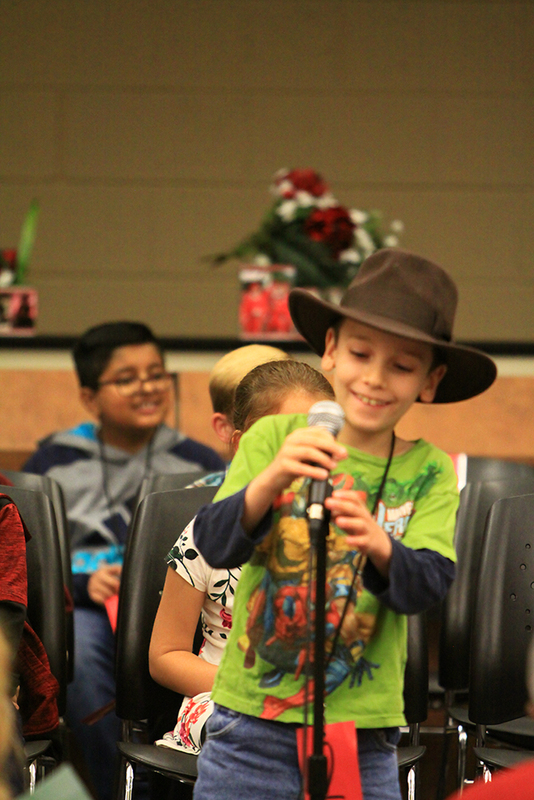 This is the first year in quite a while that third graders have been allowed to participate. 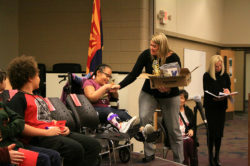 Students up to eighth grade can compete in the bee. Judges for the event were Jim Irving, Talitha Martian and David Warren. Torri Anderson was the pronouncer for the event. 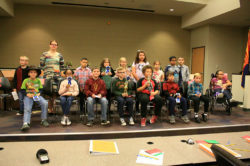 Other students participating in the district spelling bee Tuesday evening were Baltej Beemat, Lillian Judd, Dante Flores, Andrew Schrader, Shavonda Jones, Carter Hill, Kaylin Grimm, Lilly Mather, Kimora Holloway, Robert Lyndell-Less, Aubrey Bradshaw, Kaleb deGruyter, Dominic Buttafucco, Ronin Spaulding and Parker Girouard.